When Does Menstruation After Pregnancy Return and How Different Is It? Menstruation after pregnancy is usually delayed by 8-14 weeks in non-nursing mothers and up to 1-2 years in breastfeeding mothers. However, in some women period returns even while breastfeeding. - Within a month after switching from nursing to pumping. Pumping does not stimulate prolactin production as well as baby sucking does. This delay gives women time to heal, restore their strength, stores of vitamins and minerals (pregnancy exhausts stores of iron in woman’s body) and to become physiologically ready for the next childbearing. It is also nature’s way of ensuring that the first baby gets the most benefits of breast milk, before the woman is able to plan for the next one. Important: Multiple research findings show that the optimal time that a woman’s body needs to recover after pregnancy and delivery is 2 years. In women who do not breastfeed, regular production of progesterone and estrogen is back by week 6-10 postpartum. Hormones production stimulates ovulation and return of monthly period a week or so later. If there is no period for longer than 10-14 weeks after delivery, it's time to consult an OBGYN. Every woman’s body is different, but it is worth checking. Non-breastfeeding women should also use contraceptives as soon as the doctor allows sexual activity. Delay of postpartum menstruation isn't a reliable prevention method. In breastfeeding women production of fertility hormones (estrogen and progesterone) is weakened by prolactin (milk production hormone). The more you breastfeed the higher the level of prolactin, the lower the level of progesterone and estrogen. Low level of fertility hormones prevents ovulation and menstruation while breastfeeding. This is called lactation amenorrhea (delay in ovulation and menstruation after delivery) and when it is used as a method of contraception it is called Lactation Amenorrhea Method (LAM). There are, however, some strict guidelines for LAM to work. Absence of menstruation is not a sure sign of postpartum infertility (for both breastfeeding and non-breastfeeding women). There may be a time gap of up to 2 weeks between the first ovulation and the actual first postpartum period. During this time pregnancy is possible… even prior to the first post-pregnancy menstruation. If your period returns while breastfeeding and you become pregnant, continue breastfeeding while pregnant. No need to wean. Menstruation after pregnancy may be different. Some women report more painful menstrual cycle, for some their pre-pregnancy cramping and pain are over. Menstruation may become longer in duration or more abundant in quantity, but shorter in duration. The cycle itself may also shift and change. Every woman’s postpartum recovery is going at its own pace. Menstruation is not an exception. But I truly hope your body rewards you with pain-free timely period after all you’ve been through. If the return of your menstruation brought an even stronger pain and cramps, talk to your doctor about pain medications. My personal recommendation is Cyclease® Cramp Tablets by Boiron. If you are not familiar with this brand, it is a good time to get to know it. Boiron offers the widest variety of homeopathic medicines I've seen. And for life with kids it is important to have safe and gentle medications you can trust. If you are not familiar with this brand, it is a good time to get to know it. Boiron offers the widest variety of homeopathic medicines I've seen. And for life with kids it is important to have safe and gentle medicines you can trust. I trust Boiron. We've used their cold, cough and flu symptoms relief tablets, syrups and creams with great success. Because they are homeopathic - you can start giving them to your kids earlier than traditional medications. If you are breastfeeding, consult your doctor before using the tablets. 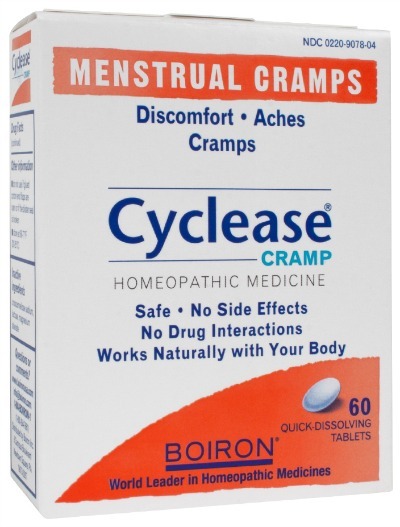 Boiron's Cyclease® Cramp Tablets work great for my menstrual cramps and I can rest assured I am not poisoning my body with traditional pain-killers. 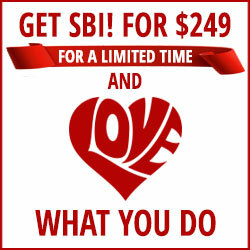 Click here for details and reviews. It is amazing how many women use and love this medicine! Is Weaning Necessary When Menstruation Returns? * Milk supply may drop and you may need to supplement. Try usual ways of boosting milk supply, but don’t be surprised if nothing works. This drop in milk supply is caused by hormonal changes, and these ones are the toughest to reverse. Supplement, if everything else fails. * Supply drop may be cyclical and coincide with your period cycle. You can try pumping milk in addition to breastfeeding at times when your supply is up in between your periods. Store this pumped milk and supplement your baby at times of shortage. * Taste of milk may also change either permanently or cyclically. If your baby refuses milk at times, don’t stress about it, keep on trying. Once your period is back, there is not much you can do to reverse nature's plan. What does depend on you is breastfeeding as much as you can at least during the first 6 months. This will ensure high level of prolactin and postpone return of period. Any drop in prolactin level sets your body on its way to fertility restoration. Every body reacts differently to hormonal changes and some women may be fine skipping a feeding or two. But who would want to test it? Never rely entirely on someone else’s experience. The best breastfeeding way it your way!